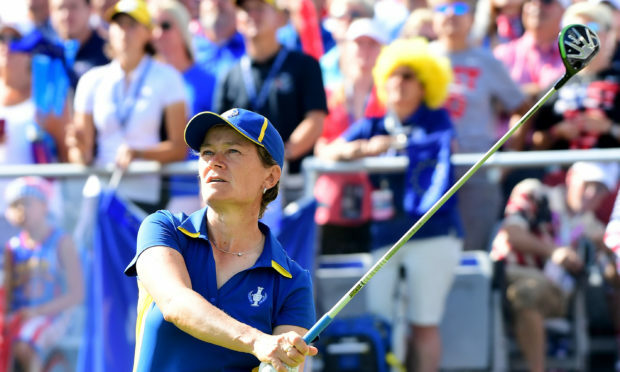 Catriona Matthew watches her opening tee shot during the final day singles at the Solheim Cup in 2017. The world’s biggest all-female golfing event will raise crucial sums for a Tayside domestic abuse charity, it has emerged. The Solheim Cup comes to Gleneagles later this year, pitting a team of Europe’s top female golfers against their US counterparts. The biennial tournament is expected to be a major uplift for the local economy, while attracting a global TV audience in the hundreds of millions. Now organisers have announced that the event will also deliver a significant boost to a local charity that provides lifeline support to women across Perth and Kinross. The charities were announced at a ceremony in the Scottish Parliament. Perthshire Women’s Aid (PWA) has been named as one of just two charity partners for September’s games. The charity was nominated by Perth and Kinross Council and Gleneagles. The national charity was named as Glasgow-based Action for Children. Interim manager for PWA Heather Williams said: “We believe this will be a fantastic platform to ensure a wide audience are aware of the life changing services we offer to women, children and young people with experience of domestic abuse. The group was nominated by SNP Highland councillor Mike Williamson. “This nomination will not only raise awareness of domestic abuse, it will send out a powerful message that this behaviour is unacceptable in 21st Century Scotland,” he said. 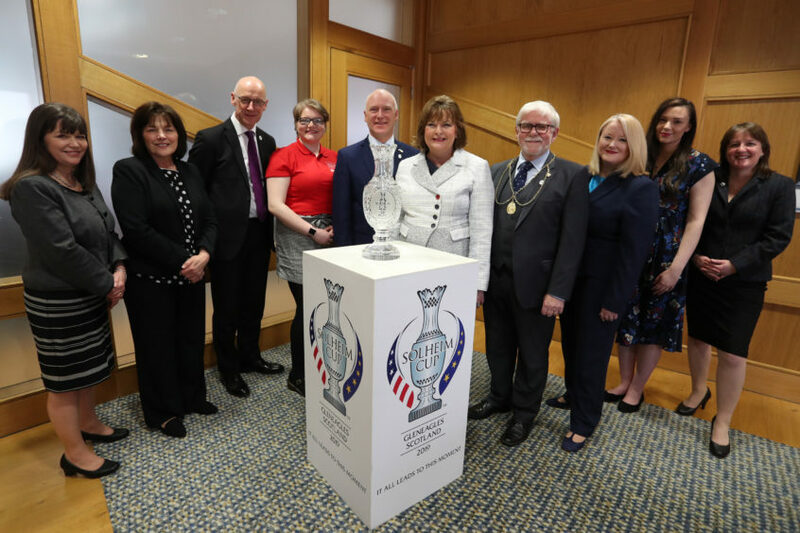 Perth and Kinross Provost Dennis Melloy said the Solheim Cup was the “ideal vehicle” to promote the charity’s work. Gleneagles hopes to make the cup the most family-friendly golf event in history.